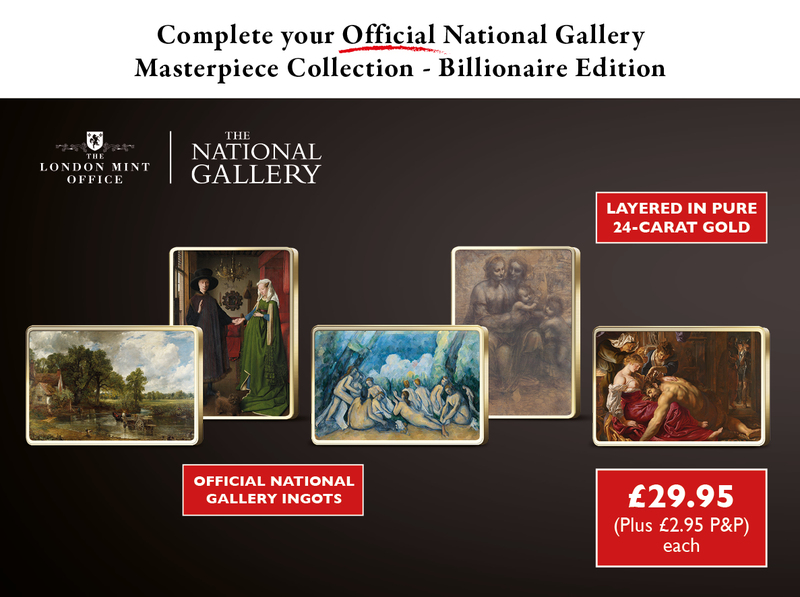 Your successful order has guaranteed you access to the five remaining ingots in The National Gallery Masterpiece Collection - Billionaire Edition. The London Mint Office is honoured to exclusively present this official set - that through a series of gold layered ingots - beautifully showcases some of Britain's greatest paintings. The works of art in this collection are famous worldwide and are not available for purchase, however, if art such as this was ever to be put on sale, you would undoubtedly need to be a billionaire to own them! The remaining ingots in this set will be sent to you in monthly intervals, for just £29.95 each (£2.95 P&P). Each ingot will be sent entirely on approval and without obligation.